More info Back to Basics TEM500 Egg-and-Muffin 2-Slice Toaster and Egg Poacher by Back to Basics . Who doesn’t like a good hot dog? 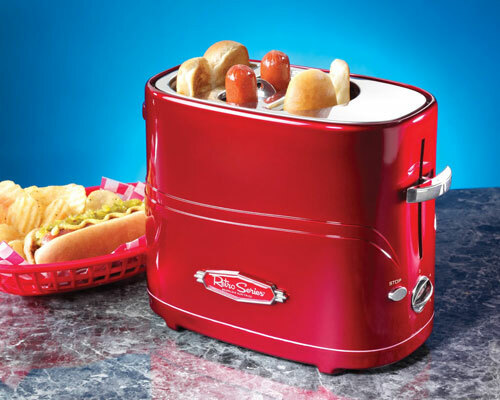 With this hot dog toaster you can make them in a fast and convenient way. The machine holds two regular-sized hot dogs and two hot dog buns at one time. The retro styling makes this toaster a real eye-catcher. Found Nostalgia Electrics HDT600RETRORED Retro Series Pop-Up Hot Dog Toaster . Design is everything. 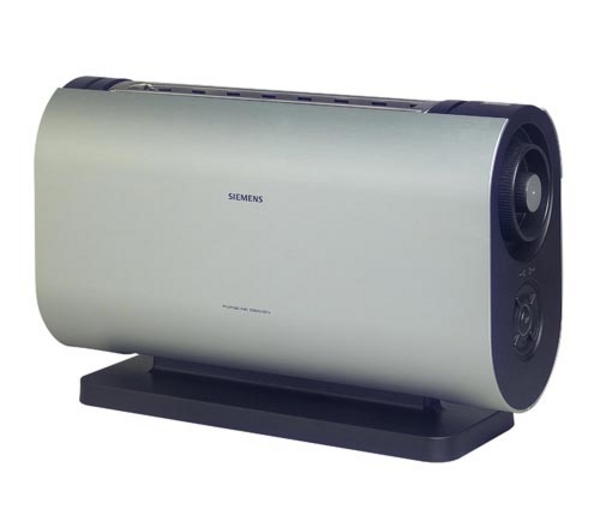 This toaster has a modern design made of durable stainless steel with a unique, rubberised exterior. You can buy it in black or white, or you can choose a more vivid color, such as green. This design toaster is made by Bodum. I’m sure you’ve had this before: you’re waiting for the bread to pop up and when it does, it scares the hell out of you. Those days are over, thanks to this digital toaster from Krups. It has an LCD display with a countdown function so you know exactly when your toast is ready. Is there any product that doesn’t have a Hello Kitty model? I guess not, because there’s even a Helly Kitty toaster! The cool thing about this toaster is that you get a tasty Hello Kitty face on each slice of bread. Jacob Bromwell likes to think out of the box. He completely redesigned a traditional toaster and came up with this: a toaster in the form of a pyramid. This design doesn’t have an internal power source, so you need to place it on a stove. This has one major advantage: it takes up much less space compared to a traditional toaster. It’s also perfect for camping trips. Now this is one seriously stylish toaster! This machine is a collaboration between Siemens and Porsche Design. It’s a simple toaster (with all the regular functions) but with a unique design. It looks great and makes top-notch toast, what more could you want in your kitchen?